That led to a Bloomberg column on the topic: Billionaire Bezos and the Warehouse Workers. 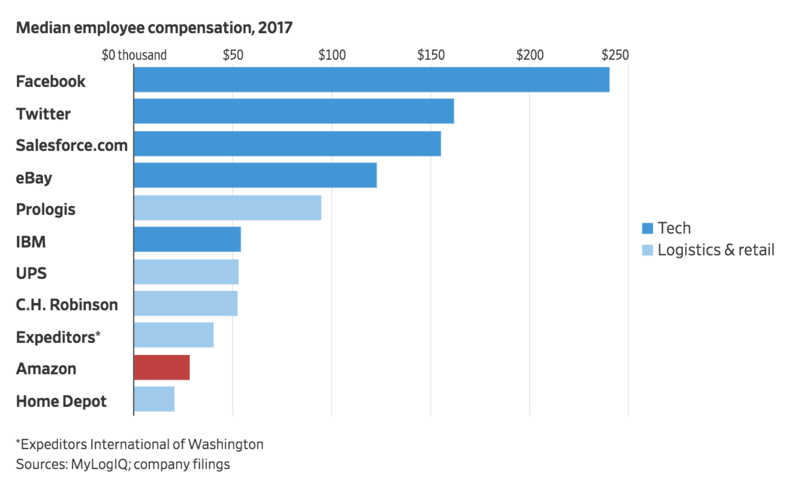 In that column, I suggested forgetting the ratio of median pay between CEO and lowest paid employees; consider instead the ratio of net worth between the CEO and the median paid worker. For Amazon and Bezos, its about 100 billion to one. * Note the data on this is from a variety of sources, and there are a mix of median, average and mean. I know, its a cardinal data crunching sin, but there is no standard average salary data source to allow precise cross company comparisons. Fort the purposes of this comparison, it should be good enough . . .